When I first laid eyes on a Roll Bicycle several months ago, I could tell I was looking at something out of the ordinary. Clean design, simple lines, sensible set-up, gorgeous colors, minimal branding. Roll bikes are not about being louder, newer, edgier, trendier. They are all about you. This does not mean that Roll Bicycles does not use the latest in component technology, but they use it less for it's own sake, or for the sake of outshouting the competition, and more to enhance the riding experience the end user prefers. Typically, to set up a custom bike, you’d have to spend several thousand dollars. Roll is not fully custom, but at a moderate price of $750, they nicely bridge the gap between a typical stock bike, and a full custom set-up. Allow me to elaborate. For decades, the typical bicycle shopping experience looked the same. You walked into a bike shop, surveyed their in-stock offerings, and based on your budget, the results of your test-ride, and recommendations of the store personnel, you made your purchase from he selection they have on the floor. In some cases, if your size or preferred color was not in stock, the shop would order the bike for you from the vendor. Then came the fun part. After your initial test-ride, or after having the bike for a few weeks, you’d decide you’d like to change certain things. Perhaps the handlebars were too low, too wide, or you wanted a different gearing range, or thinner (or fatter) tires, etc, etc. Your friendly neighborhood bike shop would work with you to swap out parts (sometimes at full retail, sometimes at a reduced cost) to make needed modifications. Roll changes all that. As a retailer, we no longer have to guess which Roll bicycle the next customer is going to want. We stock enough to represent the sizes, available colors and most configurations. The rest is done by consultation, taking some key measurements, and ordering a bike in the right size, the color of your choice, with components appropriate to your style of riding, and scaled to fit your physique. No, you don’t get your bike the same day, but within 3-5 days you take delivery of a brand new bike made to your specifications, and assembled by us just for you. We’re excited about our partnership with Roll, and this new, consultation-based selling model, which eliminates much of the stabbing in the dark for us. 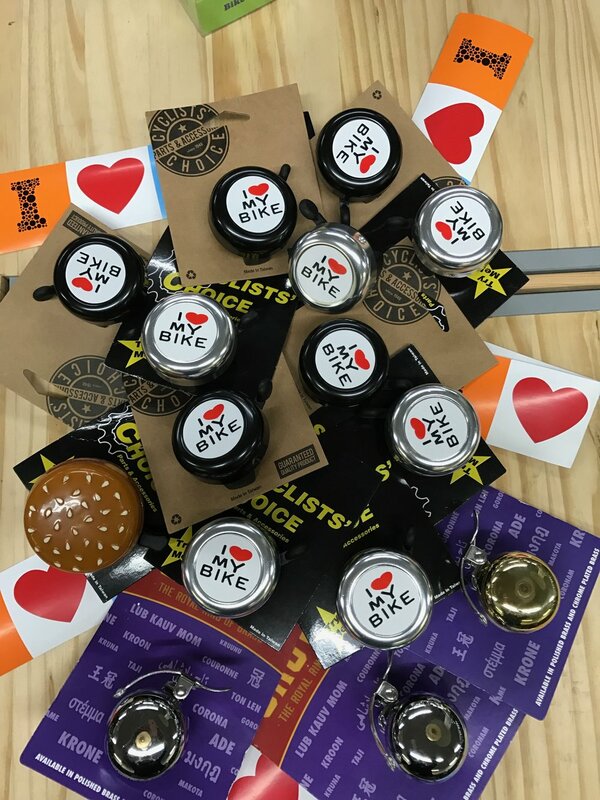 We’ve been selling bicycles for a long time, and we have found that, even with bike companies organized along a more traditional selling model, this collaborative approach makes for a better, more fulfilling experience for both us and the customers, and results in a more satisfying experience with the bike in the real world. Roll just makes that process easier. We brought in the initial shipment of Roll floor model samples. Please stop in, take a look at them and let us know what you think! Whew! We just got back to Chicago from the Interike tradeshow. For a retailer, it’s getting harder to get at-a-glance view of our industry, as it’s undergoing a splintering, and the once almighty industry-wide Interbike is getting supplanted by smaller regional shows. Many major US bicycle suppliers are sitting out, and therefore it’s difficult to pinpoint major trends happening in conventional bike design and offerings. That doesn’t mean we can’t spot at least some strong trends: the good, the bad and the ugly. Spanning cargo bike options to meet a wide range of needs and price ranges, including a $999 full size longtail Mundo workhorse, cruiser-like compact Boda Boda, front-loader Supermarché, and several e-assist models, Yuba stands poised to literally change the way families move around American cities. The designer behind this brand, Benno Baenziger, was the brain behind the phenomenally popular Electra Bikes, and his new cargo bike company is infused with the desire to make simple, functional and well designed bikes for everyday transportation, utility and adventure. Though primarily known for their folding bikes, Tern is blazing the trail in the compact, electric-assist cargo category with the phenomenally popular (and easy to store) GSD. About a decade ago, urban cycling began to dominate the industry, and its impact on product design was evident everywhere from bikes, to bags and apparel. That is currently being edged out by adventure biking and bikepacking, and that sensibility is spilling over into the urban market as well. 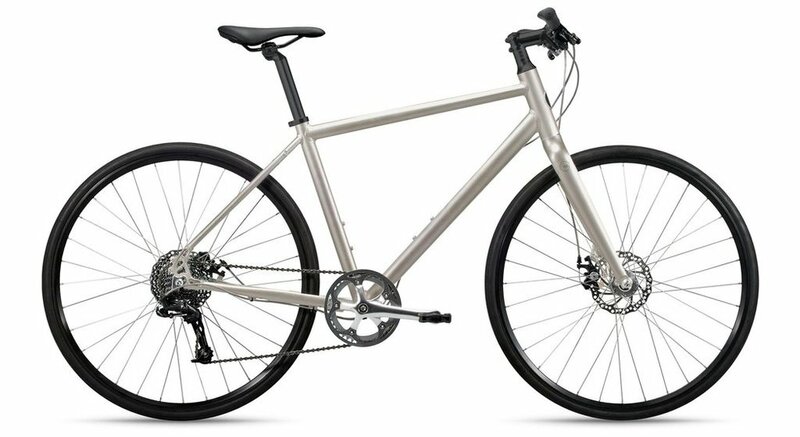 Crossover products, such as gravel bikes, which are equally at home on urban streets and unpaved fireroads, are the new standard, and many hybrid bikes —the staple of urban commuting— have taken on adventure characteristics, such as smaller, higher volume tires, disc brakes and mounting eyelets to extend their cargo-carrying capacity. This is great news for the bike consumer, because it’s increasingly possible to have a do-it-all bike for about $1000 or less. Raising the professionalism standards for bicycle mechanics is an extremely welcome trend, as the barrier to entry has traditionally been very low, and there are almost no established industry-wide standards. Organizations such as Professional Bicycle Mechanics Association and United Bicycle Institute are working to change that, and to increase the competence and professionalism of the bicycle technician. Additionally, companies such as Efficient Velo Tools and Wheel Fanatyk, that manufacture premium quality specialized tools to aid bike mechanics in the performance of their trade, help raise the profile of the profession. An interesting development, and one that — in my opinion — is long overdue, is the arrival of companies that offer a more personal, semi-custom buying experience to the bike buying public. The best of these companies realize three things: (1) most customers typically want more color choices, fit and customization options than what’s available on a typical bike showroom floor, but are not prepared to shell out in excess of $2000 for a custom build, or more for a fully custom bike, (2) the assortment of bikes on the showroom floor that the shop owner had to select in advance, trying to anticipate what potential customers will want to buy, may not be the best way to meet the diverse needs of those customers, and (3) at the same time, a full-service bicycle store (not the internet) is still the best and safest place to purchase a bicycle with included professional assembly and skilled follow-up maintenance service. In response to this, companies like Roll Bicycles offer a streamlined selection of modular bikes: a quality bicycle frame (available in several sizes, and a step-over and step-through configuration), that can be ordered in a choice of attractive colors and finishes, and outfitted with several different component packages for sport, city or adventure use for a set price of $750, with a couple of limited upgrade options available as well. The bicycle shop stocks a few representative models, and the customer may not walk out of the shop with their new bike on the day of purchase, but in about a week they can take delivery of a fully assembled bike outfitted to their preferred specifications. At Cosmic Bikes, we’ve been using this process with Brompton folding bikes for many years, and it works very well in balancing what we as a shop have to carry in stock, and getting the customer the exact product they desire. Interbike impressions: the Bad and the Ugly!